I have selected six characters (three women and three men) from three different plays of Shakespeare. You have to choose one character , desguise yourself , learn by heart the quote given , study his/her profile and perhaps search the web so you know more about this character. We are going to begin an email exchange with a school in The Netherlands. Read the instructions , datelines and addess of your exchange. 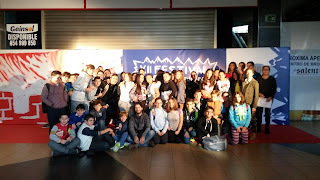 4th ESO " Last Christmas"
1º Bach "Carol of the Bells"
It was a very dark night. The snow of the winter shone in the black night. Tom, who was lost in the road, after walking for thousand menters, saw a small village. There wasn't anybody there. Evrything was dark.But suddenly, he found a flashlight. He switched on the flashlight and walked until he saw a very big house. He decided to go inside for food and drink. The door made a strong noise so he was a little bit scared. "Now, the curse will follow you for the rest of your life!!" The monster was like three metres tall, and it had very long arms, it had a dark aura around it. It was a dark night. A 31st October night. It was Halloween and John was watching a horror film with his friends. And he was very frightened because the film was horrible. But all his friends said that they had already seen the film. They were really hard boys. When the film finished he wento sleep. In the middle of the night John woke up because his door was opening. He saw a ghost pass in front of him.. John went down the stairs and saw the ghost again. But the ghost was very small. Suddenly he realised the ghost was his cat. There was a sheet on top of the cat. 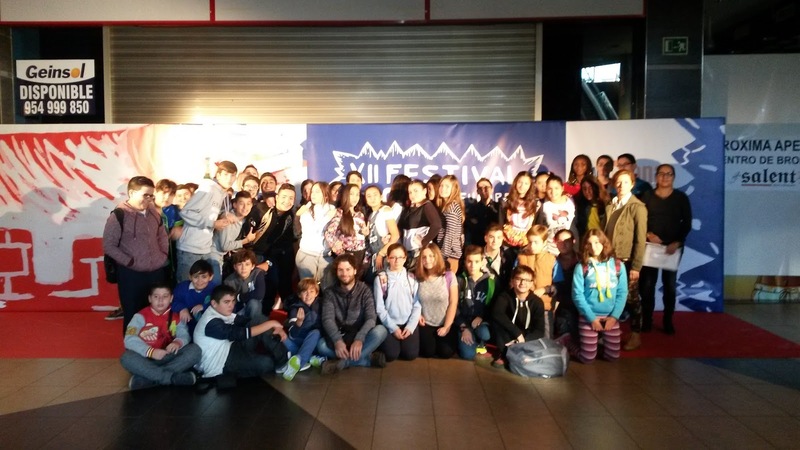 Our students of 1st and 3rd ESO had the opportunity of watching a film in English within the programme of the twelfth edition of the festival. The films were Petting Zoo and You are Ugly too. They really had a good time and they even met the director of one of the films. We consider that this is a perfect activity that helps the students to learn and practice their English outside the class.